last night was raining and snowing and I had a tripod on me so I thought I'd use the wet streets for some night shots on the way home. 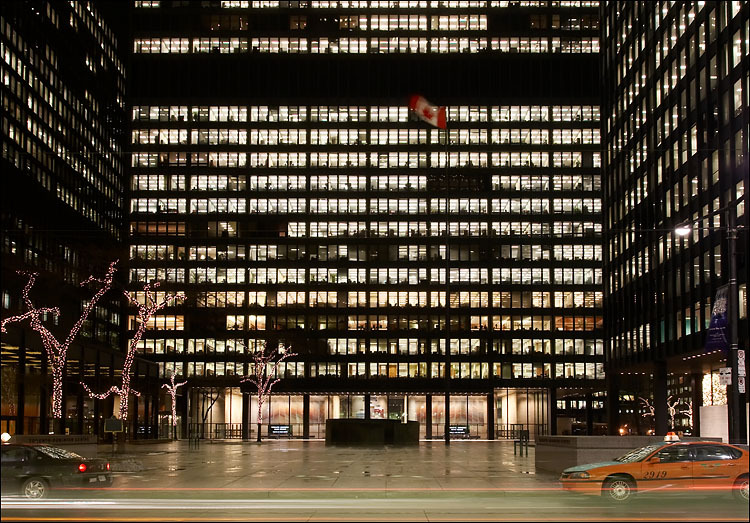 this is toronto's TD Canada Trust towers at bay and king. tonight is the opening for In Transit; a group exhibition presented by spacing magazine.